Under a financial burden of such staggering dimensions, the only ones “lovin’ it” are shareholders in the McDonald’s Corporation. With “billions and billions” sold, the social costs add up fast. 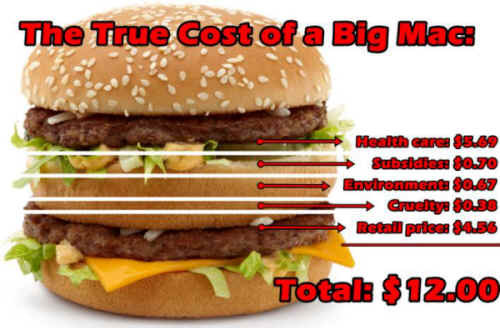 The total externalized costs of U.S. meat and dairy production are over $414 billion each year.